We're in the middle of summer, the sweatiest time of the year. Summer is easy for women- we've got short shorts, skirts, skorts, short short skorts, the list goes on. When it gets hot as fuh, we have seemingly endless sartorial options to cool ourselves off. Men, however, get the short end of the fashion stick. I'm all for unisex mumu dresses, but it seems I am a minority amongst a sea of mumu haters on that front (see my blog supportmumus4everyone.blogspot.com to join the mumu movement). How can dudes keep cool in the summer heat? Fashion editors have been working furiously to find the answer. Male tank tops, for one, have made major progress for sweaty men who couldn't bear to keep their armpits covered in the summer. Another, more unfortunate trend, however, has gripped the sartorial scene by force- the rolled pant leg. Creeping pant cuffs began appearing in the streets of NYC around summer 2010, when the New York Times posed the question, "Where's the flood, guys?" The terrible joke is personally offensive to me, as flood pants were a major part of my wardrobe in middle school and I was constantly teased with "flood" jokes. The better question is, "How big is the flood?" (see what I did there?) 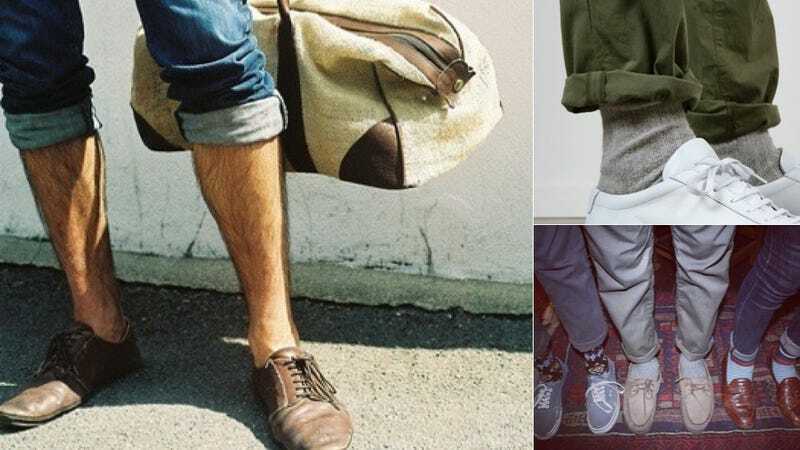 because rolled pants are not the issue here- a good roll can accentuate a man's manly ankles, or show off a new pair of desert boots and this season's latest sock. That's stuff fashion dudes like, right? But when you start taking the trend from Huckleberry Finn to Man in 1920s Atlantic City Getting Ready to Dip His Toes in the Sea, things get weird. Ugh, wait, bad example, because my mind immediately went to this. But you know what? 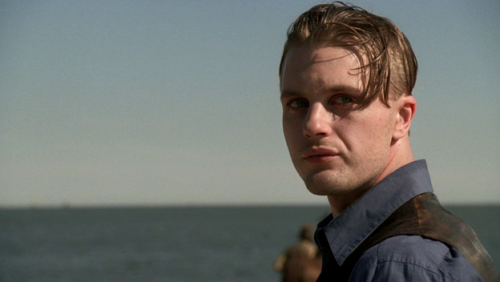 Even Jimmy Darmody doesn't roll his pants to mid-calf length, because even Jimmy Darmody knows better than to optically shorten his legs with excess pant rolls. The bottom line? No one looks good in capris. I didn't in middle school, and if you're a dude, you won't while you're drinking your artisan cocktail out of a jar. Rolled pants give you the air of a nonchalant young man, perhaps on his way to picking up this morning's stack of the daily rag. So if you're taking rolled pants cues from The Newsies: yay. If, as Esquire puts it, you're flaunting "a gaping chasm of leg hair and exposed shin," take a long, hard look at yourself and roll down those pants. Images via Tumblr (rolled pants Tumblr is a weird place).